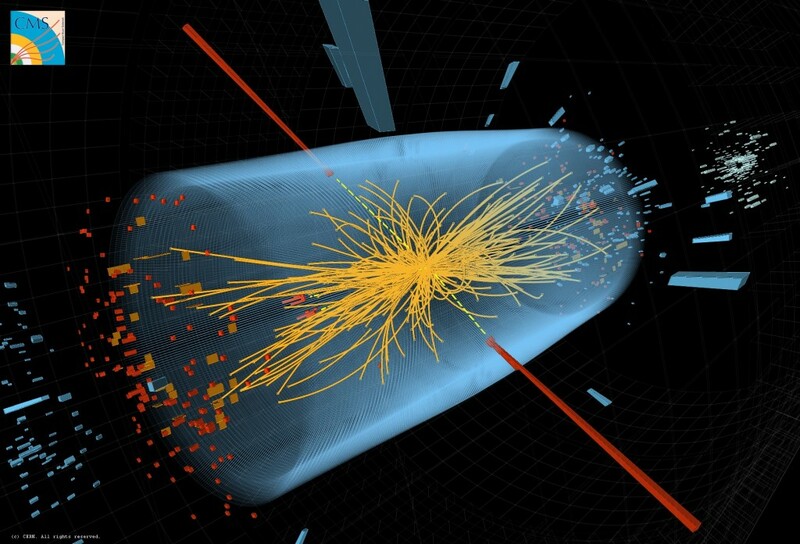 Scientists believe that they may have caught their first glimpse of the Higgs Boson, or “God particle”, a subatomic unit that is a vital factor in science’s understanding of the universe. Physicists Fabiola Gianotti and Guido Tonelli of the Large Hadron Collider’s two largest experiments, Atlas and CMS, announced the discovery of signals that point to the appearance of the Higgs boson at a seminar on Tuesday at the Organisation of Nuclear Research (CERN) near Geneva, however there is not enough data to claim a formal discovery. The Large Hadron, described as the “Big Bang Machine” is the worlds largest and most powerful particle accelerator. Located on the French-Swiss border, the $4.4 billion project functions to attempt to recreate the conditions at the birth of the universe by accelerating protons to collide at the speed of light. The Higgs boson was predicted nearly 50 years ago by a British physicist, Peter Higgs, as a crucial element to explain the origin of mass. It is a missing link in current theories of physics. According to the Higgs theory, shortly after the big bang many particles had no mass until interacting with Higgs field- an invisible energy field that fills the vacuum of space throughout the universe. When some particles move through the field they feel drag and gain weight as a result. Others, such as light or photons, feel no drag and remain without mass. Scientists have no hope of detecting the field itself, so instead search for the Higgs boson, which would essentially prove the field exists. 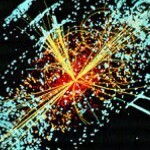 “While these results do not provide conclusive proof of the existence of the Higgs boson, the fact that broadly similar hints have been seen by two competing experiments using several different complementary techniques is very suggestive,” said Dan Tovey, professor of Particle Physics at the University of Sheffield and spokesman for ATLAS. “With much more data due next year it won’t be long before we can answer this question once and for all”. Why is everyone talking about the Higgs boson? How many subatomic particles exist? Hi – I subscribed to SL for one year and so far only received 3 issues. The last issue I received was Sept/Oct 2011. I would like to receive the remaining one-year subscription. Thanks! Hi Steve, please visit http://www.magshop.com.au/Science-Illustrated and enter in M1111SCI or call 1300 785 535.